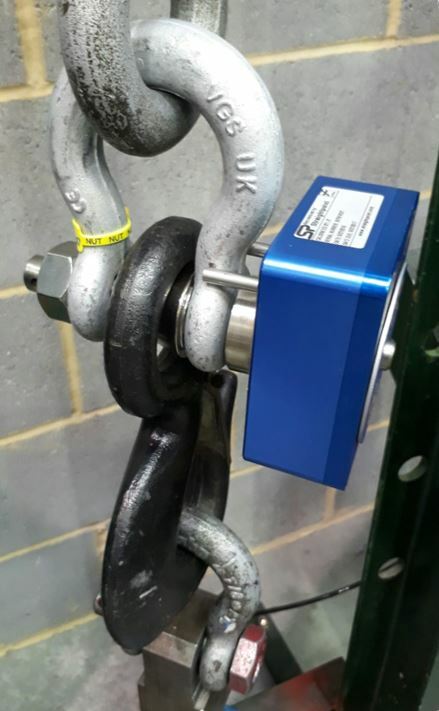 SP often get asked by customers whether the bobbin on their load sensing shackles can be removed and what are the implications on performance and safety of the loadshackle. The best way to understand this is to know what the bobbin is, what it does, and why it is important for accuracy, repeatability and safety factor. The bobbin is a metal collar that tapers towards the centre and sits over the (load sensing) shackle pin. Its dimensions ensure minimal lateral play along the pin and its inside dimensions align with the shear grooves on the load pin. The bobbin spreads the load across the two shear grooves at either side of the load pin as seen below. It also ensures the full load area is used and that the pin is in a shear, rather than a bending movement. The taper of the bobbin ensures the load is always applied to the same point. Any lifting accessories and attachments – slings, chains, hooks, wire rope will naturally pull to the centre of the bobbin, consistently applying the load in one place. This is transferred consistently to the shear grooves by the ‘collar’ effect of the bobbin. 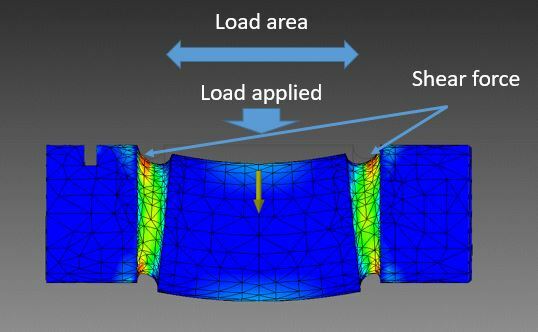 Consistency of load application = repeatability. The factor of safety is the minimum force the shackle must be able to withstand before breaking. It is expressed as the ratio of minimum breaking load (MBL) to the working load limit (WLL) of the shackle. it is sometimes referred to as the ‘working coefficient’ or ‘safety coefficient’. Our load shackles have a minimum factor of safety (FOS) of 5:1. The bobbin ensures this minimum safety factor is met by spreading the load across the pin. In situations where the shackle is subjected to loads far in excess of its WLL it also protects the shackle from ‘closing up’ due to bending of the pin. Can the bobbin from a load shackle be removed? A load shackle without the bobbin – like Batman with no Robin! Having explored what the bobbin is for, let’s return to the original question. The answer is yes, the bobbin can be removed but it is best to do so knowingly and with good reason. 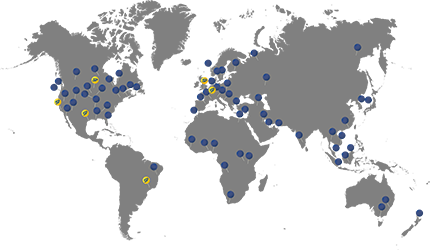 Know that the load still needs to be applied evenly across the load area and consistently to the same position to get an accurate and repeatable reading. Know that the safety factor will be reduced, typically to that of a standard load pin which gives a ratio of only 3:1 rather than the usual 5:1. 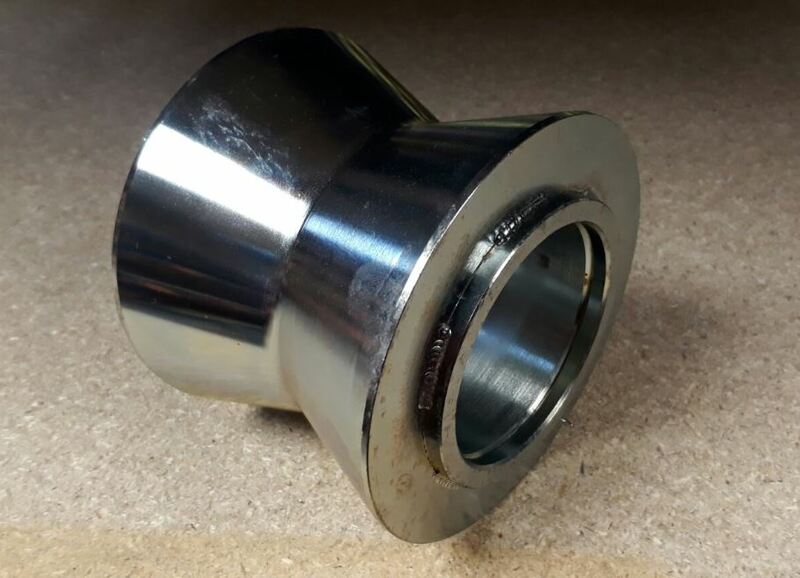 In certain applications where an alternative collar is available, or where a bracket or lifting eye is manufactured to fit the load pin correctly that is an option. 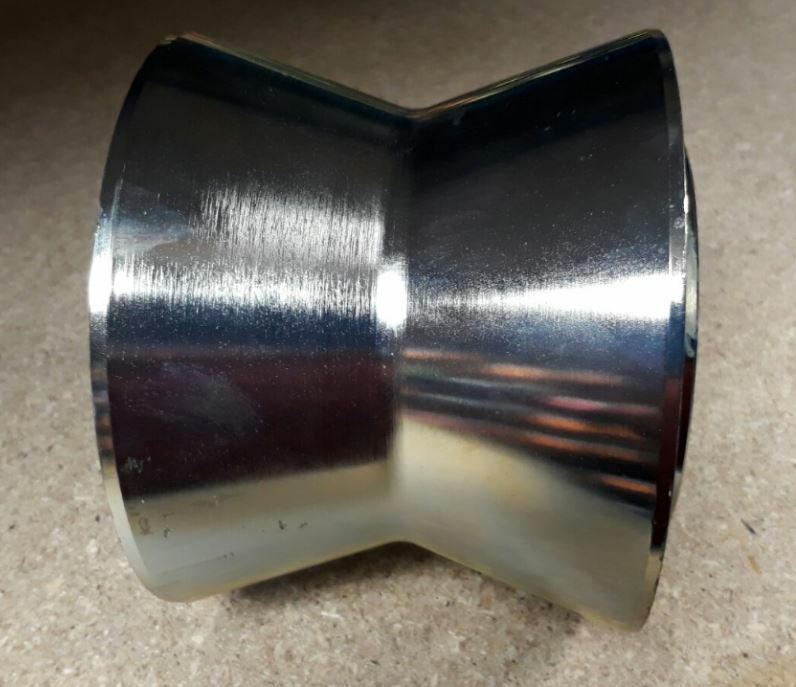 An alternative of course is for Straightpoint to manufacture a custom made load pin to your application which in some cases will be easier and may give more options and flexibility. Although the bobbin increases accuracy & repeatability significantly (versus no bobbin) it is important to remember that load shackles are more suited to load monitoring and overload prevention rather than weighing and measuring. For weighing and measurement applications that require the highest accuracy we always recommend a Loadlink or Radiolink.